There is a patent pending, dated May 6, 2017. It is legal terminology and technical patent gobbledegook. It shows an eight-part flow chart but doesn’t reveal its purpose in plain language. Microsoft holds this patent and it may forever change the landscape of sports commerce. The patent in question will spring to life when the legal ban on U.S. based sports betting is lifted. Observers say the question isn’t “if.” It is “when.” Gildshire Magazines tears down the walls of misinformation in search of truth and clarity about U.S. based sports betting. “Don’t we have enough vice in this country?” “Why invite a criminal element into the games we love?” “Is this some kind of conspiracy?” “Will gambling lead to point-shaving and game-fixing?” Those are the questions some will ask, and they are valid concerns. Gambling and shady characters wearing Italian loafers have always gone hand in hand. The history of Las Vegas is rife with bloodshed and turf wars. Is there any reason to believe professional sports leagues can avoid the same fate? In other words, is this the end of pure sport as we know it? First of all, let’s open our eyes to certain realities. You can place a bet on hundreds of sports, right from your living room. It’s quick and easy. You barely need to be computer-literate to make it happen. There are hundreds of online bookmakers taking action as we speak. Here’s how it works. Do a Google search of online sports bets. In less than 1/1000 of a second page after page of options appear. They have names like BetOnline, Oddsmaker, and Sportsbook. Click on any of them and find a glossy, brightly-colored web page. Usually, but not always, attractive women will be a part of the page. There will be a “Join Here,” or “Join Now” button in plain sight. Click, enter your banking or credit card information and you’re all set to bet on any of hundreds of games played all over the world. Sports to which you have never given a moment of thought, such as New Zealand cricket, German Bundesliga soccer, and Polish handball are now open for your wagering business. It is, technically, illegal. Just like Prohibition in 1933, it is also common practice. 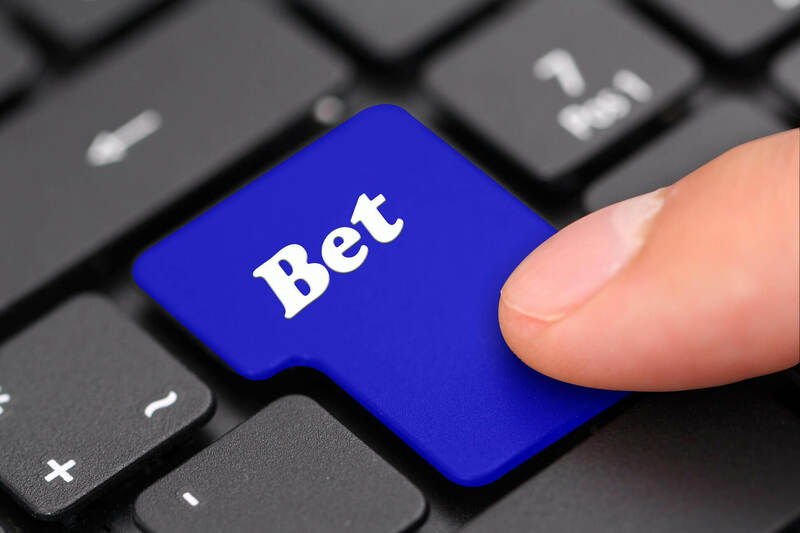 Oh, you may have noticed that none of the sports wagering sites had familiar website suffixes. They ended with suffixes like .eu, .ag, or .au. That’s because these are foreign websites based in Europe (.eu), Antigua (.ag), or Australia (.au) The United States gets none of the action or, more importantly, the tax revenue., and U.S. lawmakers are taking notice of that fact. Millions of dollars of potential tax revenue are being shuttled over the internet to nations around the world, while the United States wallows under an ever-increasing debt ceiling. That’s all about to change when Microsoft Patent No. 0125691 takes flight. U.S. based sports betting will be open for business. For now, U.S. based sports betting means a trip to the casino, but those days are coming to an end. The U.S. has dabbled in sports gambling, but always under the guise of a state lottery. In the 80s and 90s Oregon hosted a betting game called Sports Action. It was a parlay card game in which bettors had to select the winners of at least three NFL games against the point spread. Sports Action made a profit for the State of Oregon, but that profit dwindled with the proliferation of offshore-based online betting sites. After all, why be forced to hit three winners when you can make a single-game wager and have way better odds of winning? Besides, the feds wrung their collective hands over Sports Action, threatening Oregon with dire consequences, including the withholding of important basketball tournament games. However, the mood in Washington D.C. is different now. Daily “fantasy” games, such as Fan Duel and Draft Kings have blurred the line between legal and illegal. No great hue and cry has developed. The major sports have taken notice. The NFL, NBA, and NHL have deals with Sportradar. That’s a major player in the global sports betting industry. Major League Baseball has partnered with Genius Sports, a multifaceted gambling data firm located in London. Even the NCAA has a commercial affiliation with Sportradar, with the Pac-12 conference using the services of CG Analytics, a subsidiary of a prominent Nevada sportsbook. These partnerships represent a profound shift in the leagues’ position on U.S. based sports betting. When will all of this come to fruition? When can you expect to lay down something on Wimbledon and do it from an online book located in the United States? Some experts predict three years as the ultimate tipping point, but that is a little optimistic. Let’s call it 2026. For those who have long-awaited the change, it can’t come soon enough. Wanna bet? Kim is a writer of wide scope. In his submissions he strives to shine a new light, offer a new perspective and make our readers smile. Should he accomplish all of those goals in any one piece, he has succeeded. He is a family man, a dedicated husband, father and grandfather. Who Created the Dollar Sign?